Leftover roofing shingles can be used as siding for a storage or garden shed. You will want to follow the appropriate installation process for best results. This page gives some advice about using roofing shingles to side a shed. My mom's boyfriend repaired our shed wall, but he did not finish it. The siding that once was on the original wall is broken. 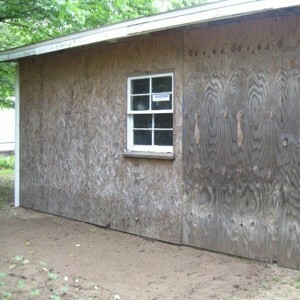 I would like to shingle this side of the shed if nothing else just to preserve it from further damage. Later when the money is there I would of course get it re-sided, but I already have 10 bundles of shingles. Can anyone tell me how to do this? I would appreciate step by step directions. I don't think it can be that hard. Thanks for any information. This is coming from a professional carpenter of 50 years. Very good thinking of a way to use up surplus roofing shingles, very original. Try to nail or screw the exposed siding into as much "flatness" as you can before nailing on the shingles. I see it seems to have developed "bubbles" due to rain and sun. You don't want any movement underneath the shingles if you can help it. Start at the bottom and work up. Overlap each new row about two inches over the row before. If you don't have one, you can rent a nail/staple gun. 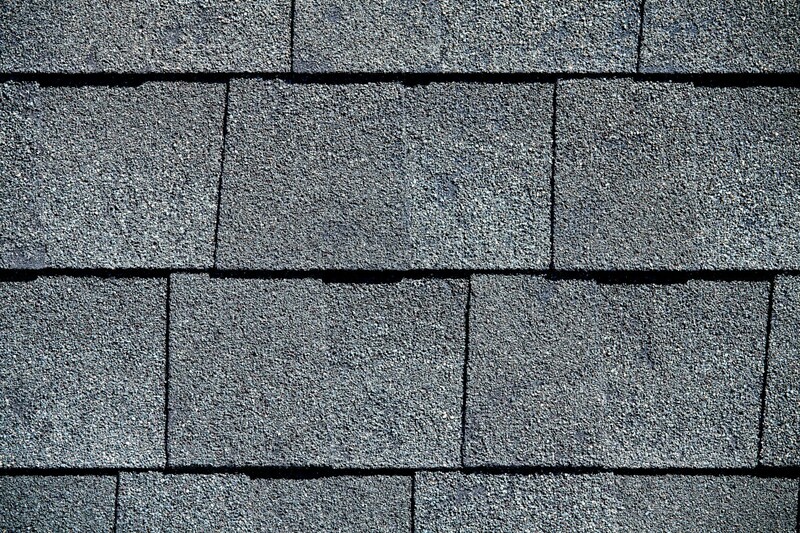 Certified mentioned flapping in the wind but it depends on what kind of shingles you're talking about. 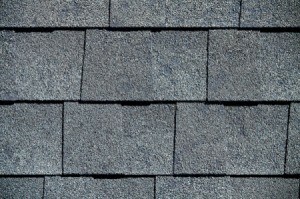 If it's the kind of roofing shingles I think Certified is talking about (composition) then you can remedy that by simply stapling the top of each shingle and bottom of each shingle too. Please post a photo of the finished project for us, okay? My neighbors house was probably close to 80 years old before they did vinyl siding and it was fine. Shingles were not stapled or tarred down but we don't have hurricanes etc like you all. #1 Will codes/local regs let you do this? If not you will have wasted time and possible fines. #2 Before doing this you need to fix the slope of the yard. The roof drains on this side and the wood is almost in contact with the ground. Taper the soil away from the shed/garage. Putting in some drainage rocks where water lands and a swale or small trench to another area will save your building. Personally I would probably find some cheap exterior paint and hit the bottom of the wall and trim out the window before doing the shingles. Really slope it on the edges to hopefully keep it from wicking up the wood. First row of shingles is actually a 1/2 shingle lengthwise. Cut the shingles in half length wise (have back up razor blades it will use them up). You will be using the top solid side. Using roofing nails, put up one layer of the solid half shingles. Now cut one shingle so one flap and top is off, 2/3rds size. Put this up so the bottom flap side will be over the upside down one. Continue all the way across. Consider getting some roof tar and glueing down this layer. **SOME shingles actually have a peel off sticky section to keep it down (might only be the architectural 50 year ones). Next row is a 2/3 shingle, etc. Next is full row, etc. If you have hurricanes, tornadoes or high winds, use some roof tar to 'glue' down the flaps every so often. If it's not bad, do the middle flap. If you are pretty much always in the hurricane path, then I'd do the first and third flap. Post on Freecycle about leftover cut shingles for dog house, etc. This is just a guess, some men or people with more construction experience that I have, but I would think you would do the bottom row first and then the next one, overlapping the shingles, and maybe staggering each row about half way over on each row. That is the way shingles on a roof look to me anyway.